Visitor information guide to Lake Elsinore boat rentals company and watercraft services at the lake. The Elsinore lake was originally Laguna Grande and is the largest natural freshwater lake in Southern California. It is situated at the lowest point within the 750-square-mile San Jacinto Watershed at the terminus of the San Jacinto River, where its headwaters are found on the western slopes of San Jacinto Peak with its North Fork, and Lake Hemet with its South Fork. Enjoy professional water sport activities and charters from wakeboarding, water skiing, kneeboarding, wake surfing, and tubing. 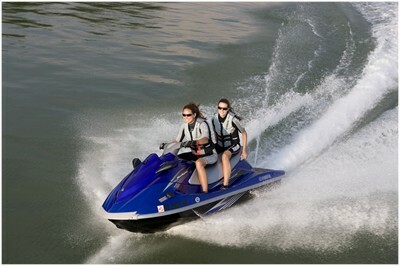 Elsinore Lake makes for a nice water sport adventure which can include boat rentals, jet skis, water sport charters, boat tours, and watercraft outings. The lake levels are healthy at 1,244 feet with a volume of 30,000 acre·ft that often fluctuate, although much has been done recently to prevent the lake from drying up, flooding, or becoming stagnant. Elsinore then flows to Orange County, out to the Pacific Ocean just south of Huntington State Beach.